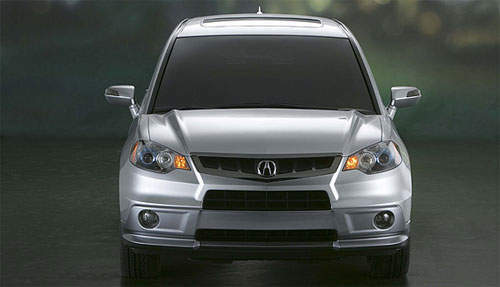 Acura (Honda’s premium marque) showcased this Acura RDX prototype at the North American International Auto Show. A 5-seater SUV with four wheel drive and a new powerful turbocharged engine. 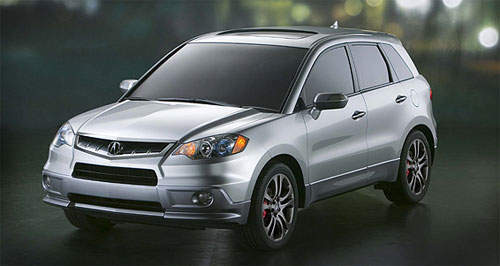 Is this Honda’s competitor to the Mitsubishi Airtrek Turbo and the Subaru Forester? The Acura RDX Prototype is positioned as an entry-level premium SUV that’s fun to drive as well as practical for those weekend golf trips. It comes with a 5-speed SportShift automatic transmission sending power to all 4 wheels via the exclusive SH-AWD (Super Handling All Wheel Drive) drive technology. But that’s not the most interesting thing about this car. 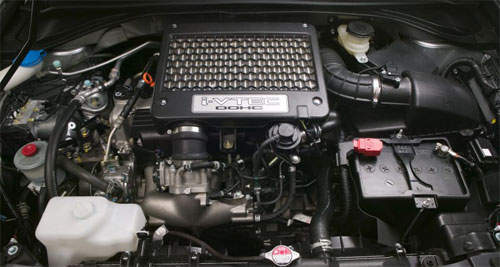 Notice anything strange in the engine bay? Yup, this is Honda/Acura’s first stock from factory engine equipped with a turbocharger since the old Honda City Turbo! This 2.3 litre i-VTEC Turbo 4-cylinder all-aluminium engine is turbocharged with a variable flow turbocharger which gives it some impressive performance stats of 240 horsepower and 260 lb-ft of torque. The 5-speed SportShift transmission allows you to shift between the 5 gears from paddle shifters on the steering wheel, thus completing the sporty drive experience of the RDX Concept. This prototype is a near-production vehicle that gives a preview of the new Acura RDX set for release at the end of summer this year.